1 Lenin Avenue, Nizhny Tagil, tel. : +7 3435 24-34-82, +7 3435 96-95-03. The Museum Factory in Nizhny Tagil was founded in January of 1989. The Museum is based on the territory of non-operated Kuibyshev Metallurgical Plant. The decommissioning of Kuibyshev Metallurgical Plant, started in 1960s, was accomplished in 1987. Kuibyshev Metallurgical Plant took the place of the ironworks, owned by Nikolay Demidov, which had been in service sine 1725. In 1992, the Museum received part of the territory of the plant with its infrastructure and surrounding historical zone. Thereby, the museum complex was established on the area with a total of 30 hectares (74 acres). At present the Museum Factory consists of six expositions, demonstrating all steps of metallurgical production. Here you can find a blast-furnace shop, rolling-mill and open-hearth shops, power facilities, mechanical conversion and foundry machinery. In addition, on the territory of the plant there are expositions of rolling stock and machinery of the 19th and 20th centuries. 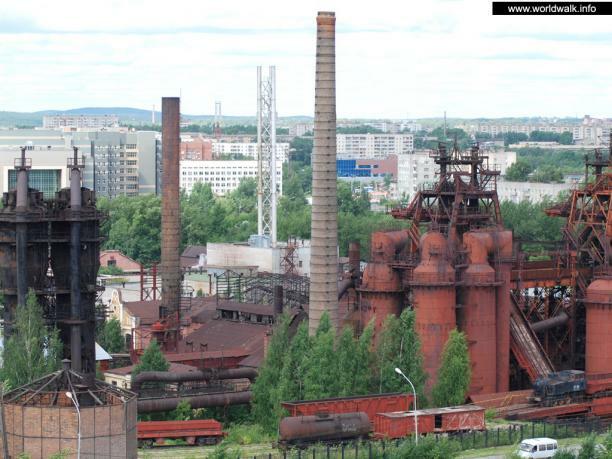 The first Russian Museum Factory is a unique monument to the history of metallurgical industry. The plant represents the industrial architecture of the 18th, 19th and the begging of the 20th centuries. Here you can find a real blast-furnace and open-hearth shops, study stages of iron-and-steel production, familiarize yourself with job of a furnaceman, a steel founder, a roller, a blacksmith and a turner, a metalworker and an electrician. There is a well-preserved water turbine in the plant, dated back to 1892, which was supplying energy to its mill. Flumes and a furnace body of the early 19th century remain in a good condition. The overhead crane, dated 1892, is still on the go. Rare showpieces of machinery of 1920s and 1930s are displayed at the exhibition of factory engineering. Larch beams, which were forming the base of the dam built at the same time with the plant, are exposed here. They were raised from the depth of the dam during its renovation in 1992.